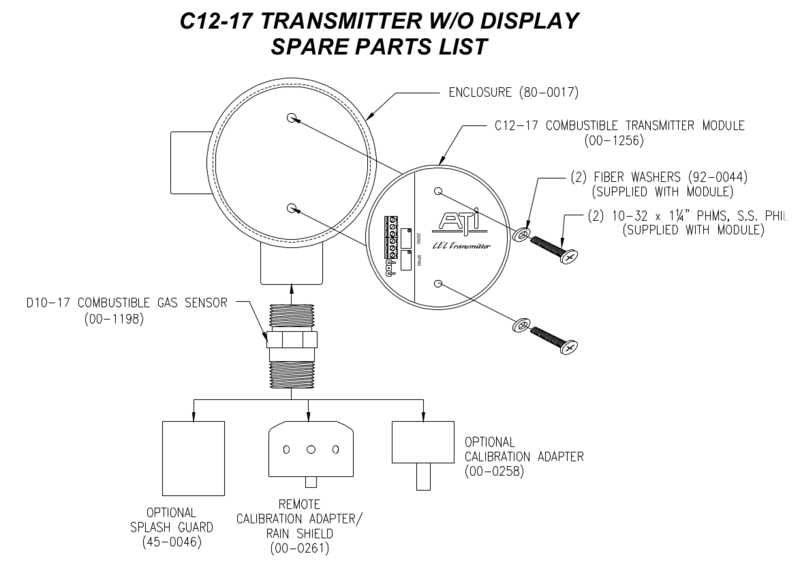 C12-17 Combustible Gas Transmitter is a stand-alone gas sensor to detect hazardous levels of combustible gases in ambient air. Configurable with: 2 ranges, with or without display, and with relays and 4-20 mA output. XP Rated Enclosure. The Model C12-17 is a stand-alone gas transmitter designed to detect potentially hazardous concentrations of combustible gases in ambient air. Gases and hydrocarbon vapors such as methane, propane, butane, gasoline, toluene, hydrogen, and many others can be reliably monitored in process buildings, analyzer enclosures, pump stations, and gas compressor stations. 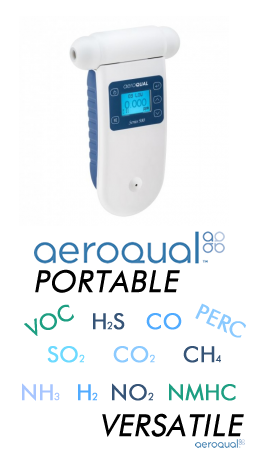 In fact, anywhere gases or vapors may build up to explosive levels can be readily monitored using this transmitter. 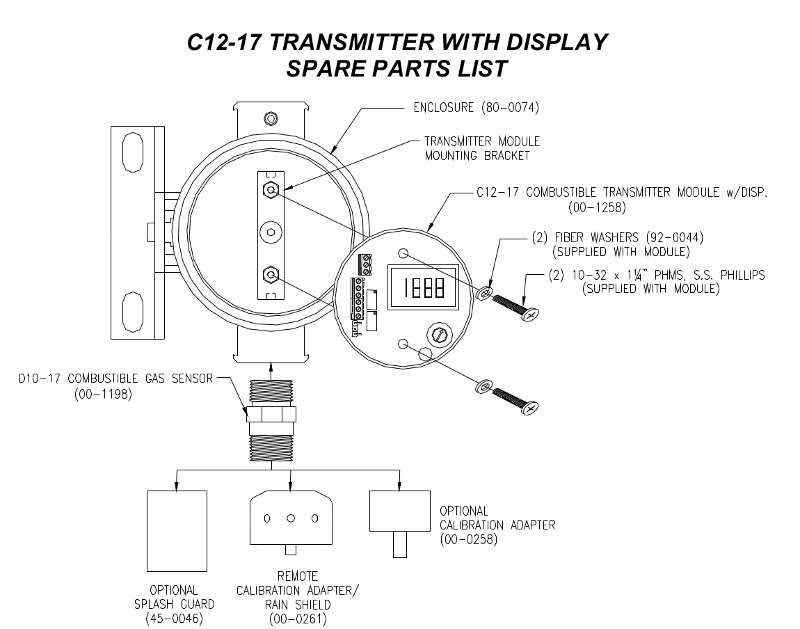 C12-17 Combustible Gas Transmitters are three-wire transmitters, operating from 24 VDC power supplies and transmitting a 4-20 mA signal proportional to 0-100% LEL (Lower Explosive Limit) of a particular gas or vapor. The gas transmitter is available either as a blind transmitter or with integral LCD display that provides local indication of gas concentration visible through the glass window in the explosion-proof housing. Gas transmitter units supplied with the integral display also contain a single alarm set-point and relay for local alarm purposes. This integral relay is a latching alarm that can be reset with a magnetic tool without opening the enclosure. Units supplied with the integral display also contain a single alarm set point and relay for local alarm purposes. This integral relay is a latching alarm that can be reset with a magnetic tool without opening the enclosure. C12-17 transmitters can be connected directly to PLC, DCS, or computer based alarm systems without additional hardware. If complete alarm systems are needed, ATI can supply Series B14 modular alarm receivers or Series C14 Multi-point scanning alarm units to provide all required alarm functions. Combustible gas sensors are made up of two matched sensing elements, one active and one passive. Both are electrically heated and form two legs of a Wheatstone bridge circuit. When combustible gas contacts the sensor, the active element catalyzes the oxidation of gas heating the active element and changing its resistance. The passive element remains unchanged, resulting in a change in the bridge circuit that is proportional to the gas concentration. The C12-17 Combustible Gas Transmitter has explosion-proof sensor assemblies that are made of 316 stainless steel for maximum corrosion protection. A sinter bonded flame arrestor provides the gas diffusion path to the sensing elements while maintaining the flame-proof integrity of the assembly. Sensing elements are specially designed for maximum poison resistance and long life in harsh industrial environments, with sensor life typically 2 years or more.